Both space-efficient and stylish, these tall bookshelves are perfect for almost any room in your home. 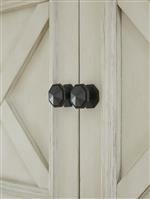 With their gently distressed antique finish and cross-buck detailing on the sides, these pieces have a farmhouse fresh feel to them that will instantly add a charming appeal to your space. The two doors at the top are adorned with a cross-buck overlay, completing the look of these bookcases and contributing to the abundance of available storage and display space. 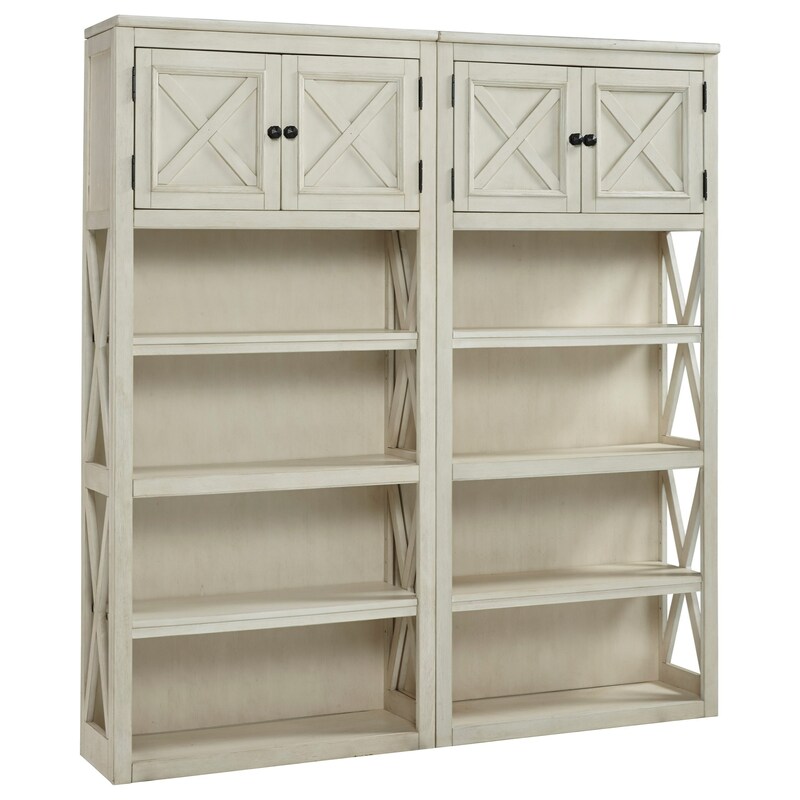 The Bolanburg 2 Large Open Bookcases with Doors by Signature Design by Ashley at Lindy's Furniture Company in the Hickory, Connelly Springs, Morganton, Lenoir area. Product availability may vary. Contact us for the most current availability on this product. The Bolanburg collection is a great option if you are looking for Casual Cottage furniture in the Hickory, Connelly Springs, Morganton, Lenoir area. Browse other items in the Bolanburg collection from Lindy's Furniture Company in the Hickory, Connelly Springs, Morganton, Lenoir area.